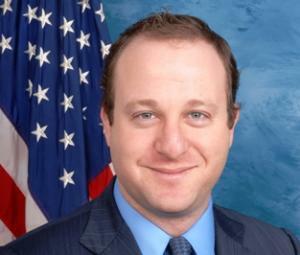 Rep. Jared Polis (D-CO) filed a bill to protect the gun rights of legal marijuana users. Polis Files Federal Bill to Protect Gun Rights of Legal Marijuana Users. US Rep. Jared Polis (D-CO) last Thursday filed House Resolution 3483 to override a 2011 ruling by the Bureau of Alcohol, Tobacco & Firearms that medical marijuana patients cannot legally buy or own guns. The bill's summary says its purpose is "to amend title 18, United States Code, to provide exceptions from the firearm prohibitions otherwise applicable in relation to marijuana if its possession is lawful under State law." Washington State Now Taking Applications for Pot Business Licenses. Beginning today, Washington state is taking applications for licenses to grow, process, and sell legal marijuana. The licensing application period lasts 30 days. Under rules drafted by the Liquor Control Board, the state will license up to 2 million square feet statewide for marijuana production and up to 334 retail outlets. Near Majority for Marijuana Legalization in Wisconsin. A Marquette University Law School poll has Wisconsin hovering on the cusp of majority support for legalization. The late October poll had support for legalization at 49.7%, with 44.9% opposed, 4.7% not sure, and 0.8% who refused to answer. No Decriminalization in Puerto Rico This Year. Marijuana decriminalization won't happen this year in Puerto Rico. The legislative session has ended without the lower house taking up a decriminalization bill passed earlier by the Senate. Recent polls showing little support for decriminalization and even medical marijuana helped dampen things, but decrim bill sponsor Sen. Miguel Periera said he will reintroduce it in the new session in January. Americans for Safe Access Forms Virginia Chapter. The national medical marijuana advocacy group is coming to the Old Dominion. The state chapter, Safe Access Virginia, will lobby elected officials to pass a comprehensive Virginia Medical Cannabis Act. The group had its inaugural meeting Saturday in Richmond. Oregon Committee Reviewing Dispensary Rules Meets Today. The committee charged with drafting rules for medical marijuana dispensaries is meeting in Salem today. It will consider an opinion from the Oregon Legislative Counsel that says regulating dispensaries is the job of the state, not localities. Some localities have already moved to ban dispensaries. Pennsylvania Medical Marijuana Bill Introduced. State Sens. Daylin Leach (D) and Mike Folmer (R) introduced a limited medical marijuana bill Monday. While the text is not yet available, Leach's remarks suggest that it seeks to allow medical marijuana with a high CBD content that could be used by children suffering from epilepsy. Hemp Lobbyists go to Washington, DC. Led by David Bronner of Dr. Bronner's Magic Soaps, several dozen supporters of industrial hemp were on Capitol Hill Monday urging Congress to lift the federal ban on domestic hemp production. "It's time to grow hemp," Bronner said. "I mean, it's been a long and ridiculous situation." Ireland Stops Anti-Drug Aid to Death Penalty States; Britain Pressed to Do Same. Last Friday, Ireland announced it was stopping "funding to UNODC's Illicit Trafficking and Border Management program because of human rights concerns related to the use of the death penalty in Iran." The British justice reform nonprofit Reprieve is now pressing the UK government to do the same. "Britain is rapidly becoming isolated as the only country which thinks supporting the death penalty machines of Iran and Pakistan is acceptable. Hundreds of people have been sentenced to death in these countries in the last few years for non-violent drug offenses -- helped by millions of pounds of British taxpayers' money. Britain could end this problem tomorrow by putting in place conditions on the aid that it cannot be used to support the death penalty -- why are ministers refusing to do so?" More Mass Graves in Mexico. Investigators in western Mexico have dug up 19 bodies from a series of eight mass graves after being led to them by corrupt police officers who had been working for drug cartels. More bodies may be coming. They are believed to be victims of turf wars between the Knights Templar and New Generation Jalisco drug trafficking organizations. The corrupt cops were arrested after two federal police were abducted in Michoacan. The missing federal cops are not among the bodies found so far. Meanwhile, in Guerrero, five more bodies were pulled from a mass grave.